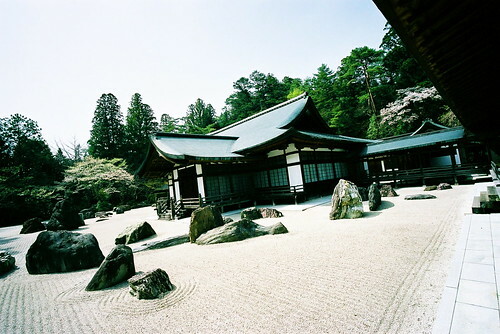 Kongobu-ji is the headquarters for Shingon Buddhism, and it doubles as the residence of Koya-san’s abbot. 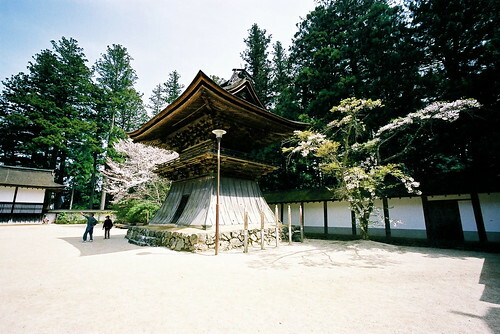 It was originally built in 1593 in honor of the memory of Toyotomi Hideyoshi‘s mother. Inside the main hall there are beautiful Kano-school paintings of cranes, as well as the famous Willow Room (Yanagi-no-ma) which features paintings of trailing willows in all of their seasonal aspects. This room is also the chamber where Toyotomi Hidetsugu, the adopted son of Hideyoshi, committed seppuku at the request of Hideyoshi who had fathered a biological son and, apparently, had no more need of his adopted heir. 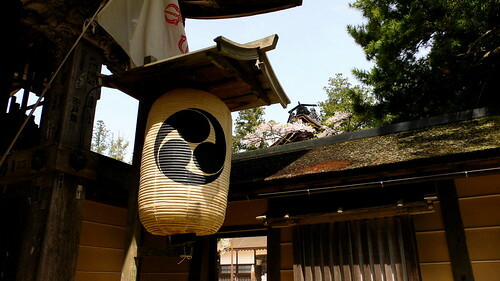 The temple buildings themselves are beautifully roofed with cypress. 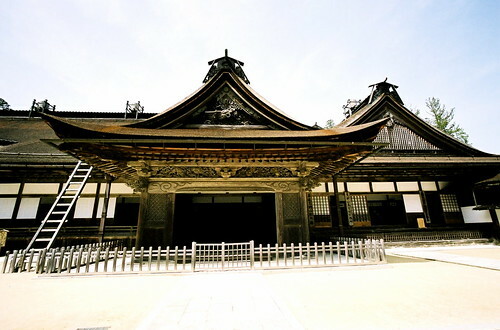 This is the entry gate to Kongobu-ji’s main hall. 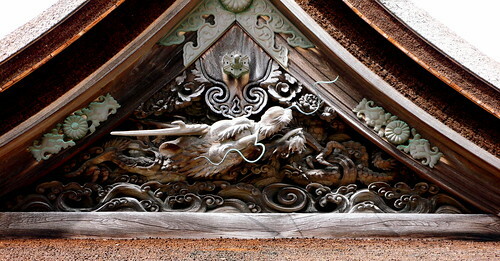 A closer view of the main gate’s ornate dragon carving. I’m not 100% sure, but I believe that this is Kongobu-ji’s bell tower. This is a view of the Banryutei rock garden which, according to the tourist pamphlet, is “the largest rock garden in Japan.” The 140 granite stones imported from Shikoku are meant to represent two dragons swimming in a sea of clouds. The Okuden, the building that sits in the center of the garden, is closed to visitors, but it’s easy to imagine the stunning sense of calm that must come from meditating between the arched backs of emerging dragons.